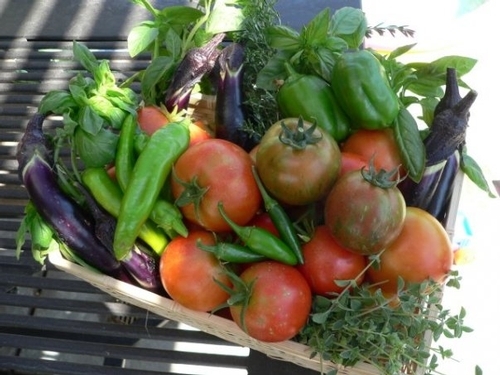 Share your tomato trellising stories by sharing us your comments on this blog. And Special Thanks to the Santa Clara County Master Gardeners for their great work!!! This is my first year as a MG graduate. This is only my second year growing tomatoes. I purchase the plants and put them in their own huge planter. The indetermanent variety has the usual cage but is strengthened by putting two cages together. The plant is further supported by my 6'x10' metal gazebo without the shade cloth. I was concerned about the metal frame getting too hot so I covered it with foam outdoor pipe cover usually used to protect against frost.